Bath is a really nice city, becoming really a fairytales place when is snowing. Write down a Bath one day itinerary was not that hard. We had the opportunity to spend 1 day in Bath and it was so cool. Reach Bath from London it is really easy. There are many opportunities to train from London to Bath. Also for the same route, you can choose to take a bus from London to Bath. The journey by bus will be no longer than 3 hours. If you are planning a day trip itinerary, Bath needs to be in your bucket list. It is a place where you can plan a one day trip, same as for Oxford or Cambridge. 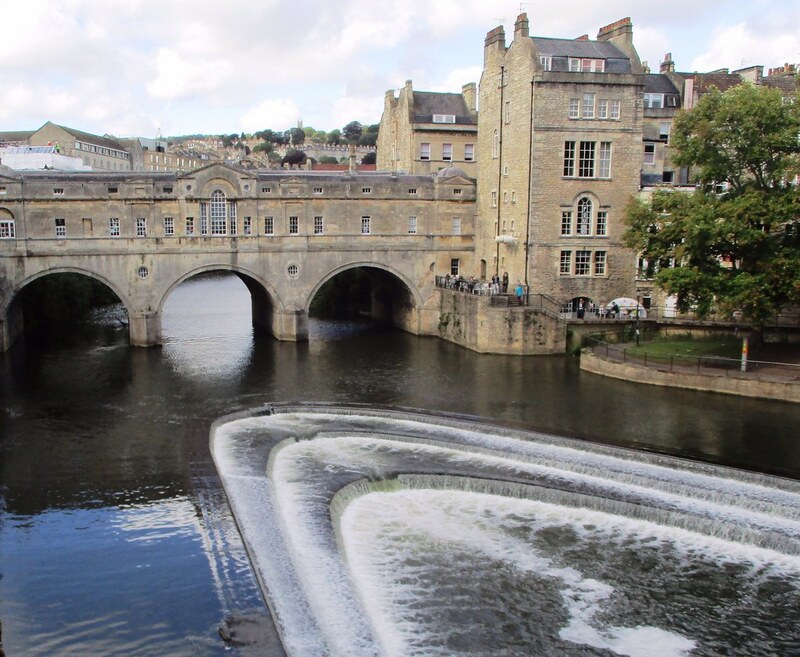 We have tried to gather all the most important information about how to visit Bath in one day. An itinerary about Bath in 1 day that you cannot miss. So, plan your trip. Now. Bath is a really small town located south west of London. It is surrounded by the amazing Somerset Shire. Just one day in Bath and you will be able to enjoy all the beautiful things this cute town has to offer. I must say in all the UK cities we have been, Bath is on our top list. Bath is the perfect city break from London. The city is not too far away from the Uk Capital. By bus, it will take around 3h and, by train 2h and 15 minutes. You can catch the train from the main train stations in London. Check the next available from London Victoria, Marylebone and, Paddington. If you are planning to reach Bath by car, it is easy as well. It will follow the main route to the Somerset Shire, passing by amazing hills and rural landscapes. You have to drive for 2 hours and a half to reach Bath from London, taking the M4. On the way, you will pass Reading another city outside of London worth to be visited. Not many people known that Bath has got a lot of museum, even if is a small town. The most known Bath museum is the “Fashion Museum Bath”. It is holding an impressive collection of dress old more than 400 years. The Holburne Museum is in a majestic and prestigious building. This museum is not that far from one of the iconic scenarios of Bath, the Pulteney bridge. Literally just 5 minutes far. The other museums of Bath worth to be visited are the Bath Aqua Theatre of Glass and the Museum of Bath at Work. Last one can take you through a proper trip into the past, from the Roman Era to the Victorian Splendour. Bath is most known for the Roman Baths. This amazing and old complex is in the center of the Town. You can find it near Bath Abbey. Due there are not many directions to this landmark, follow your Gps toward the Abbey, and you will find the way. You can purchase your tickets online and save some money, sometimes they offer a 10% discount when booking through the website. Entry to Roman Baths, Fashion Museum & Victoria Art Gallery including 10% online discount is £22.50. The tickets are not expensive at all. The visit is really worth to be included in your Bath one day itinerary. In your Bath one day itinerary, you can’t miss visiting the Abbey of Bath. Tickets are available from the Abbey shop, for adults is £8 and child up to 15 years old is £4. If you want a deep visit to this amazing church, you can’t miss the visit to the top tower. The Tower tours are available every day, except for Sunday. Going to the top of the Abbey will give you the chance to go behind the scenes, enjoying the amazing view of the city. If you are planning your bath itinerary 1 day during winter you might be lucky. You will admire the white snow on Bath. Plan to go up to the tower, it will be so cool, and worth to be in the list of Bath instagrammable spots. This is a British iconic Bridge. It is common to associate the name of the city with the image of this bridge in your mind. It is stunning, and the river down makes it even cooler. This is for us one of the best photo spot in Bath, worth to be visited, and great to take photos. 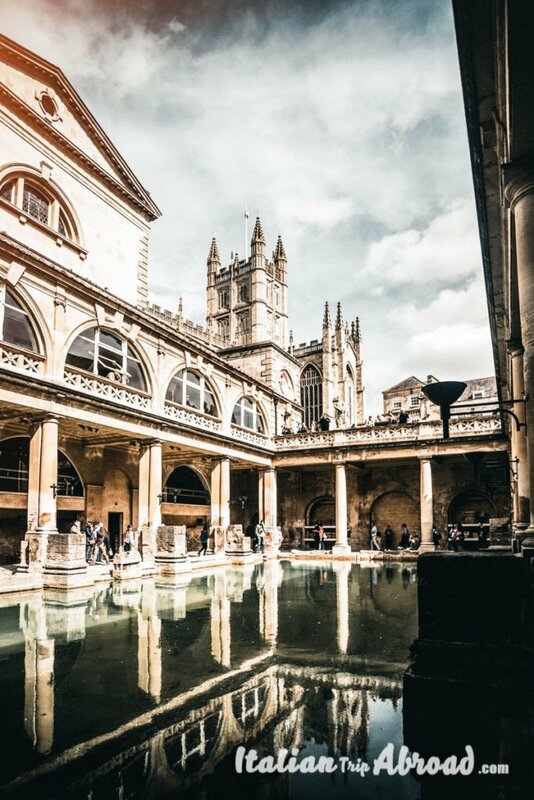 Yes, we are saying that even Bath is instagrammable, it is just so cute. The best time to photograph the Bridge is late morning or In the afternoon, with the shadow of the sunset or of the sunrise. The street that goes over the bridge itself is the best place to explore for a restaurant, with several different types of cuisine on offer to suit all price ranges. Pulteney Bridge is absolutely one of the best places to visit in Bath. For a proper English outdoor day trip, take your time in one of the typical Tea Rooms. There are many places really famous in Bath. Do that especially if it is the first time in Uk, that makes you understand more, why the afternoon tea is a secular tradition for the locals. This is a magnificent complex. It is listed by the UK government as one of the most prestigious buildings in the state. The Royal Crescent is a residential complex, with a Hotel, a Spa and a Museum. You can reach the Royal Crescent just walking, the buses are not allowed anymore to get in the complex area. It is a famous center dedicated to the life of Jane Austen. The Jane Austen center, like the Royal Crescent, has been listed as a historical asset of England. The center has a permanent exhibition, dedicated to the author Jeane Austen and to the lifestyle of the time. Another piece of English Heritage of Bath. The Royal Victoria Park was the first open under the name of the Queen. She wasn’t yet queen when this Park was named to her. Just in front of the Royal Crescent, this park is really crowd by locals in summer, thanks to the sports activities. The ancient stone circle of Stonehenge is one of the most famous sights in Britain, and one of the most mysterious. There are plenty of theories as to the monument’s function and history, but very little is known for certain. If you are planning to stay more than one day in Bath you need to stop by and go visiting Stonehenge. There are a lot of offers from £80 where you can book your trip going to Windsor Castle, Bath, and Stonehenge. Or others that give you the chance to visit Stonehenge and Bath, with an entrance to the Roman Baths for less than £80. From Bath, there is a bus going straight away to Stonehenge and it will take around 2h. 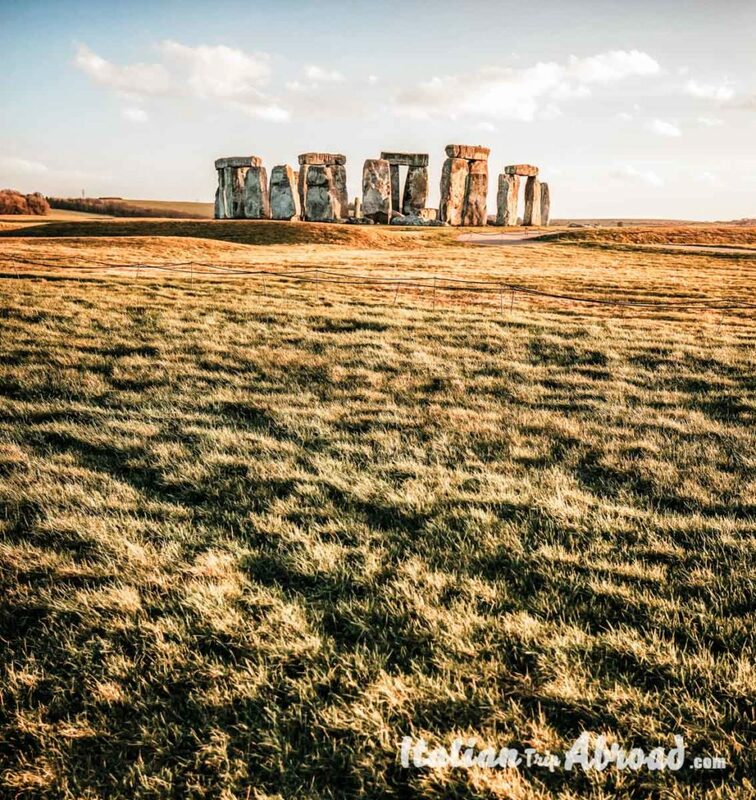 Visiting Stonehenge is one of the things which will happen once in your life and you can’t miss it. If your plan is to take a break from the city, this is the right place. We highly advise you to plan your Stonehenge and Bath tour in advance. From Bath, you can have a day trip too. It is really close to Stonehenge, the site most known in the area. There are many tours departing every day from the main bus station in Bath. Once you arrive by bus or Train to Bath, check for the main Tourists point, they will help you. You can stay overnight in Bath, and why not, try the local Spa Amenities. There are few ways on how to travel from London to bath, the easiest will be by train or by bus, it depends on how many days would you like to spend there. There are trains available from London Paddington or London Waterloo and the price, always depend on which day, it is around £21 single ticket. We went from London to Bath by bus, and the journey was about 3 hours. We spent almost all the time sleeping so we didn’t really feel those hours sitting. The main train station in Bath is Bath Spa, where if you take the train without any changes it will take you around 1h45min otherwise with only one change it will be 2h ish. If you love to discover around you, Bristol is really close to Bath, we were actually surprised when we realise that by train it is only 12 minutes and by bus less than an hour. In your Bristol itinerary one day you will be able to see most of this city such as Clifton Suspension Bridge, Bristol Cathedral and Bristol Museum Art and Gallery. Bath is the top of the list of Day trips from London. We love to say how is simple to visit from London. It is the perfect day trip, breaking down the routine. For a cheap price, we have spent 10£ go and return each, reaching Bath by bus. One day is enough for a quick escape. As always we advise to stay more in a place, visit and breath it. You will fill shadows that the tourist cannot have, staying just a day and run away. As we said before London is right in the middle of everything. From the biggest city of Uk and Europe, you can reach every corner. So, take a short break from the city is possible. There are many options for your day trips from London. Visit Bath in one day is one of the options in your hands. Other than visit the Roman city of Bath, there is to visit the University cities of Oxford or Cambridge. Birmingham is a bit more far from those, but is really worth to be visited. Brighton and Portsmouth are our favourites on the seaside, but in about 3 hours you can reach the Wales territory and visit Cardiff for an amazing day trip from London.